In a recently published decision by Family Part Judge Lawrence Jones, a wife was sanctioned by the judge for her destruction of the videos and photographs the couple had taken over the course of a 25-year-long marriage. The case, titled C.S. v. B.S., centered on a couple who had divorced in February of 2016 after being married for 25 years and having one child, since emancipated. The couple had agreed in their matrimonial settlement agreement (MSA) that the husband would have a right to access the decades-worth of videos and photos the couple had taken over the course of their marriage. In July of 2016, the court ordered the parties to find time for the husband to retrieve the things he was owed under the agreement, but the husband soon returned to the court for help. He claimed that he had not received any photos or videos from his wife, despite their inclusion in the MSA. Further, the husband produced an email to the court from the wife where she claimed to have thrown them away, as she no longer wished to be reminded of her husband since he had allegedly been unfaithful to her. The husband requested damages for the wife’s breach of the MSA. The judge held a hearing to offer both parties a chance to present their perspective. The wife claimed that she had given the husband “his” photos from among those she had in her possession, and destroyed those she’d deemed “hers.” She had turned over the only photos she believed to belong to her husband—a set of black-and-white photos from his childhood. She claimed that, prior to the divorce, she had destroyed the other photos taken during the marriage, but could not then explain why the MSA would have included division of photos taken during their relationship if they had already been destroyed. Ultimately, Judge Jones found the wife’s testimony less credible than the husband’s, and was left with the task of sanctioning the wife for her permanent destruction of years of keepsakes the husband wished to retain. The judge pointed out that, even though divorce can be challenging and emotionally painful, parties are implicitly bound to act in good faith toward their spouse. This means that they must treat one another with fairness and respect, regardless of their feelings toward the other person, as they could face consequences from the court for failing to do so. Judge Jones determined that, whether or not the photos were destroyed before or after the divorce, or whether they still existed, the wife had been deceptive and failed to uphold the parties’ MSA. Despite the fact that money damages are a poor substitute for decades-worth of memories, the imposition of a financial sanction was the only method available to the court to produce somewhat of a fair outcome. The judge determined that, when there was no market value for a lost item, courts should only award money damages for lost personal property where the wronged party could prove that 1) the other spouse had the property to which the wronged spouse was entitled; 2) the wronged spouse truly wanted the items sought, and; 3) the other spouse was aware of the wronged spouse’s desire for the items, and the personal significance they held. 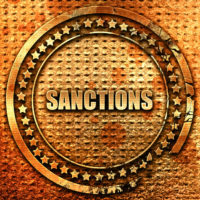 Judge Jones concluded that the husband had met this standard, and awarded him $5000 in sanctions to be paid by the wife. If you are facing a challenging divorce in New Jersey and need adept, professional, and experienced legal help before the family court, contact the Union family law attorney John B. D’Alessandro for assistance with your claims, at 908-964-0102.